A high water intake is required, additional water should be fed by hand to the sow. 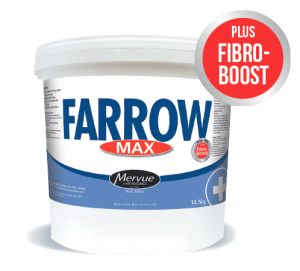 Feed Farrow Max daily before the concentrate feed is fed to the sow. Feed at 125g/sow/day (2 full scoops) upon entering farrowing house for 5 days.